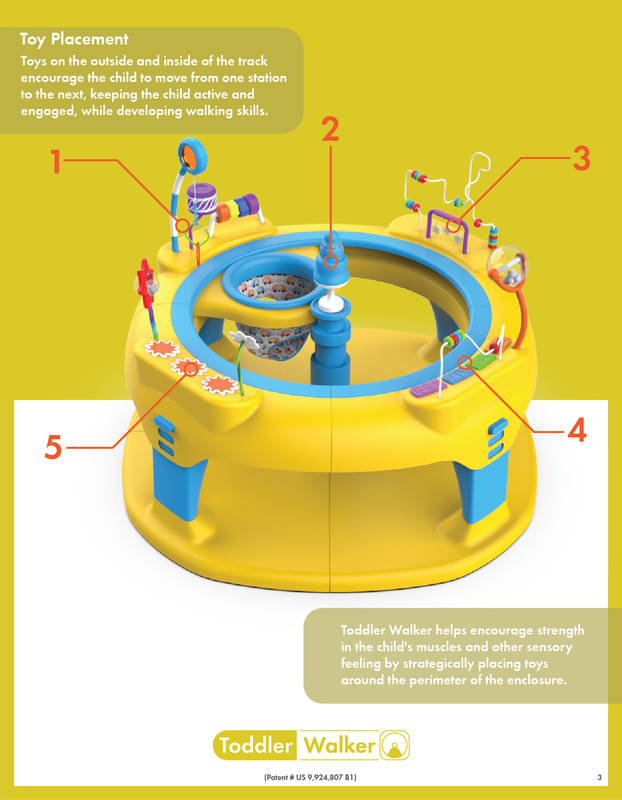 Toddler Walker is a new patented children’s play center that helps develop toddlers walking ability, while at the same time keeping them safe and happy. 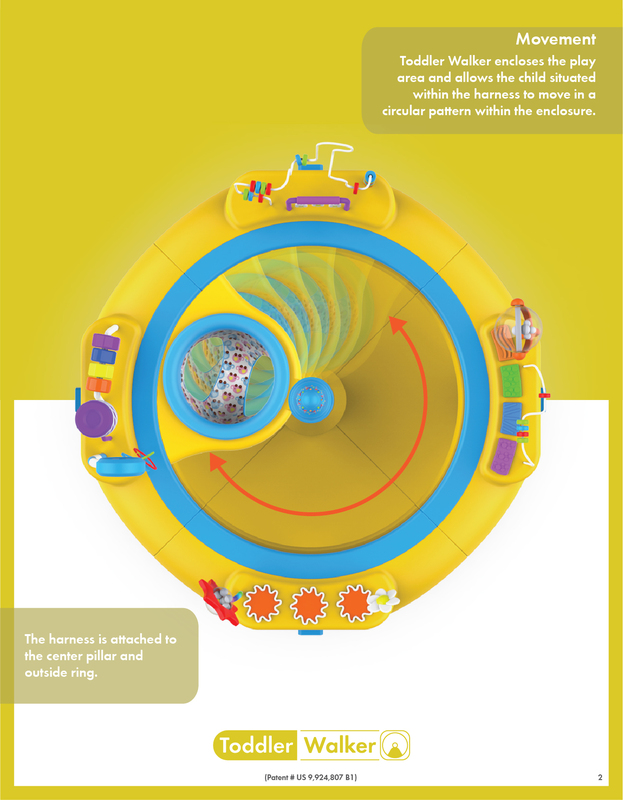 This design keeps children in one area and prevents them from accessing potentially dangerous things such as a staircase, or bookshelf. 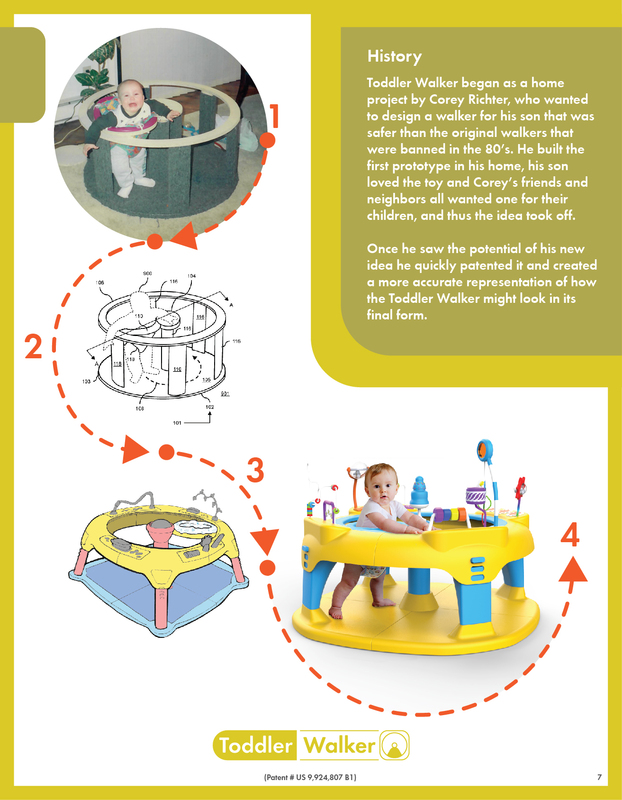 Toddler Walker works by enclosing the play area to allow the child, who would be situated within a harness, to move in a circular pattern within the safety of the product. 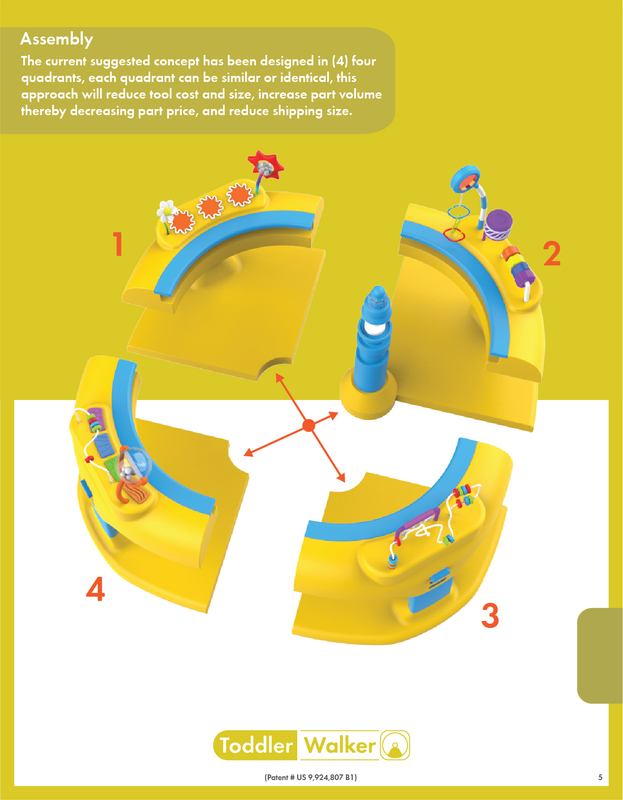 Toys on the outside and inside of the track encourage the child to move from one station to the next, keeping the child active and engaged, while helping them develop the ability to walk on their own. 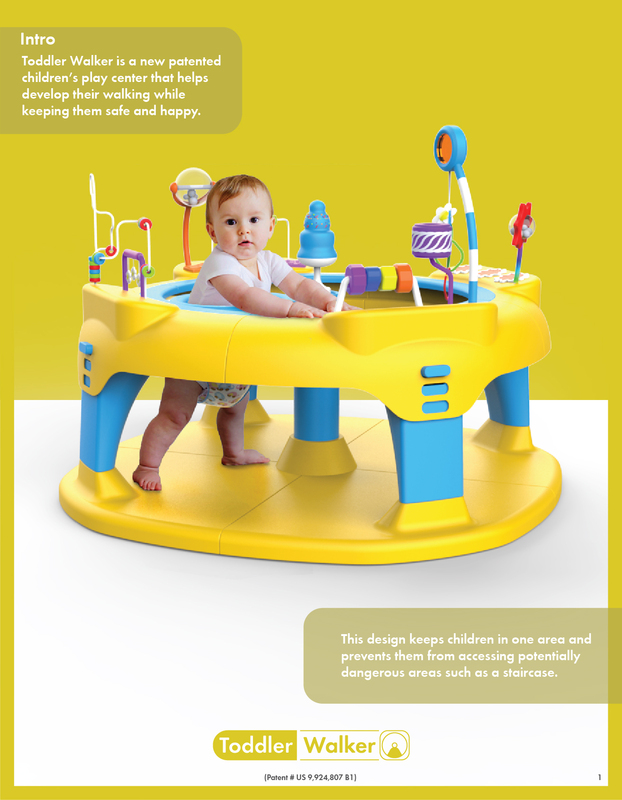 The strategic placement of these toys help encourage strength in the child’s muscles and other sensory functions. 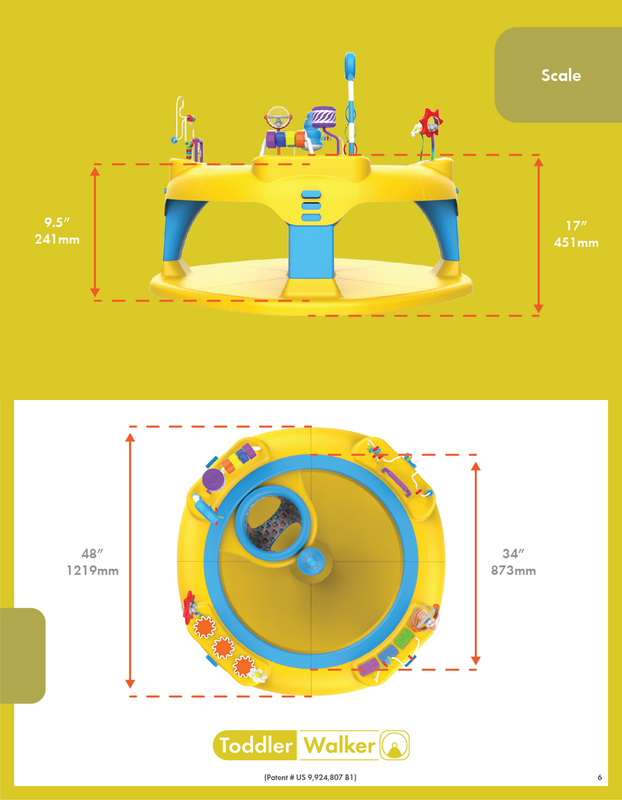 Spark worked with the client to develop a life like representation of their product vision. We took their patent drawings and began sketching various form explorations and directions to help give them some options of how they would like the final product to look and work. 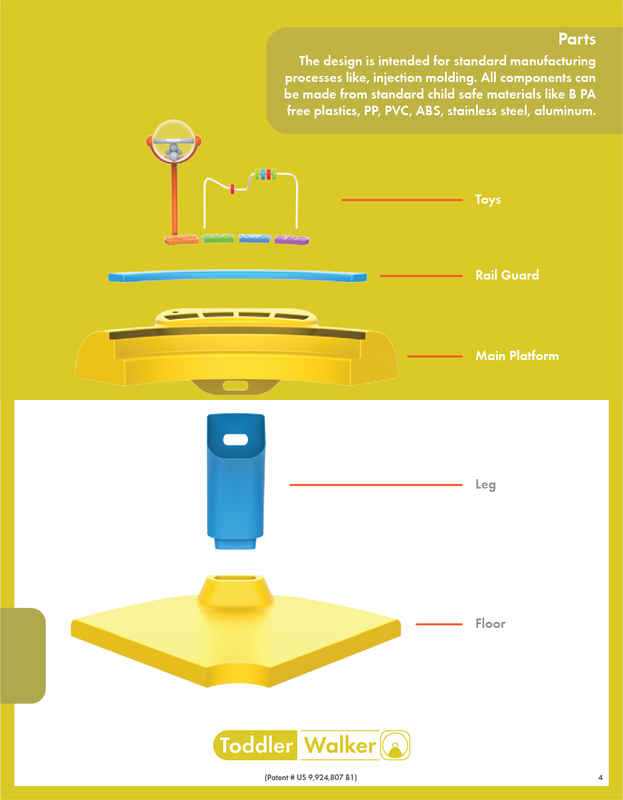 After that we developed 3D CAD with near production ready features to help sell the modularity and use cases of the product, as well as the aesthetics. 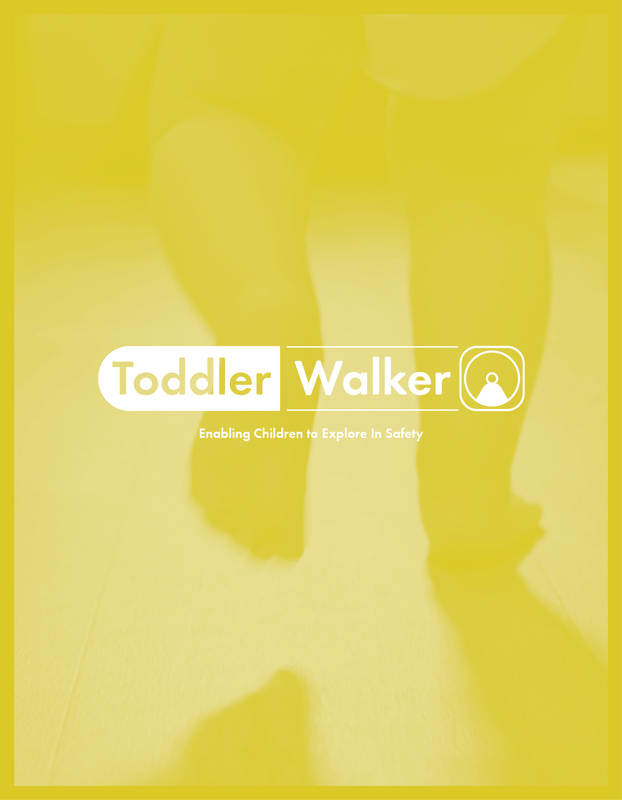 We then created a product marketing booklet with full logo and graphic design elements to help the client illustrate the history and functions of the Toddler Walker.